Any family lawyer dealing with high net worth cases will frequently need to calculate what capital sum will be required to generate a given income. The conventional way of doing this is to consult Duxbury tables, and do the calculation manually. However, there is a software-based option: the program Capitalise. Capitalise has been around for some time, but it has recently been revamped into a new-look version two, which is available on PC, on Mac and online. Capitalise was devised by Class Legal, with the help of Mr Justice Mostyn and Sir Peter Singer. With a pedigree like that, I think we can be assured of the quality of the product. 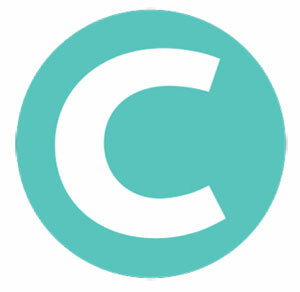 Once installed, Capitalise must be activated by registering with the user's name, email, password and registration key, or by logging in if you have already registered. Registered users can also access Capitalise online via a browser, which very handily means that they can use the software anywhere that has an internet connection, on any device. Once you have done the calculation you can then of course print out a report, in pdf format. You can also, as the screenshot indicates, export the results to Excel. If you should require any assistance, there is a help system included in the program, which includes the figures used in the calculations and legal and methodological explanations. If you get really stuck, Class Legal has a helpdesk that you can call or email. And that, in a nutshell, is Capitalise. 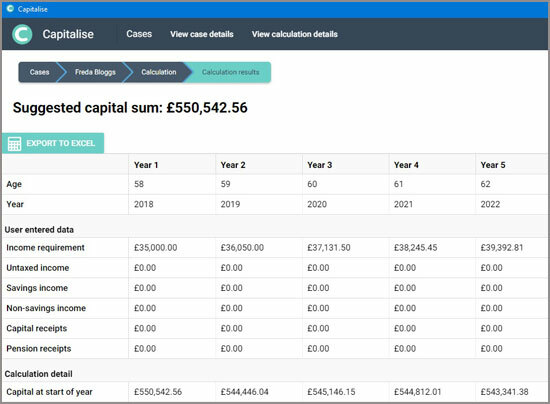 Of course, it has a lot more to it (I haven't mentioned, for example, that it can very usefully do a 'reverse' calculation, working out the income a specific capital sum will provide), but it would take a much longer review to do justice to its considerable capabilities. However, if you want more information Class Legal have made a detailed (63 minute!) video introduction to the software, which you can view here. If that is not enough, a free 35 day trial is available, on request. And if you are one of the aforementioned lawyers then I very much doubt that you will want to return to the old manual calculation methods after trying Capitalise. Capitalise can be purchased from Class Legal, here. A site licence costs £250.